within the low molecular weight compounds. SWATH/MS opened new possibilities within Data Independent Aquisition (DIA) to gain selectivity for -omics studies as all fragments form all precursors in different isolation windows are recorded. 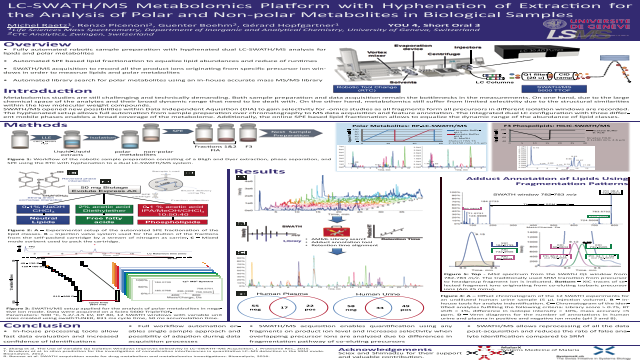 • Automated library search for polar metabolites using an in-house accurate mass MS/MS libraryReferences: Y. Zhang et al. The Use of Variable Q1 Isolation Windows Improves Selectivity in LC–SWATH–MS Acquisition. J. Proteome Res., 2015. T. Bruderer et al. In silico prediction for the investigation of comedication interferences in quantitative LC–MS detection in the SRM mode. Bioanalysis. 2012.